If ever there was an artist to prove John Lennon's assertion that a "working-class hero is something to be" it's the Bristol-born musical maverick Tricky (aka Adrian Nicholas Matthews Thaws) – a council-estate-born kid form the wrong side of the tracks whose first album Maxinquaye changed the face of British music forever. Twenty years on and eight albums later, the often reticent enigma has opened up and released what is perhaps his most revealing and personal album to date, Mixed Race. Here, we present an exclusive stream of the track "Early Bird" and talk to the unique artist about penning the poetry of the soul and creating the music of the spirit. Tricky: Exactly. It’s poetry. I think at some point I stopped writing poetry and I started writing songs: now I am writing poetry again. People used to talk about my lyrical content and not about my music, and to be honest, I think I have got lazy with my lyrics over the years. Songs like the opener ‘Everyday’ are how I started off: I started off as a writer and then I became a musician… I think that this album has taken me back to the essence of where I began. I am starting to really enjoy writing again, so that’s kind of a way of getting back to the essence. DD: Do you feel like maybe you got a little lost along the way? Tricky: Yeah, I think as a musician you kind of forget. I mean, I don’t like looking back at my music or anything like that, but I think that sometimes you have to remember how you started and why you started. Sometimes, even with just a little bit of success and touring, it becomes really difficult to remember why you did it in the first place. I was looking at these words I was writing just last night, and I realised they had nothing to do with songs. It’s very important as an artist to remember where you come from in a certain sense, because you can definitely go too far and lose what you had originally. Tricky: I think that is what is happening: I am kind of starting to separate things. It’s like, if I’ve got something in my past that isn’t good, I let it come into my present. I think I have started to realise again that I’m very lucky to be able to tour and make records, and even to do press. I mean, how many people in life have that chance to be able to say what they want to say? Being asked to do press means that people are interested in what you have to say and that’s a very unusual situation in real life. I feel blessed that I am lucky enough to do all of this. DD: Do you consider music to be a tool for transcendence? Tricky: What I have realised in the last couple of years is that I am not here for myself. I thought it was all about doing this for me and for my family, but it’s not, it’s all for the listener. I had a guy come up to me in the states and tell me that he was in a coma for ten days and that his family played my music to him. Then I met a nurse from Philadelphia who works in a burns unit – she told me that she plays my music to the kids, so you know, some people out there have been through a lot of good and bad times with my music. That’s what I am starting to think this is all about – it’s not even about me transcending through music. I’m just doing it for other people. Tricky: Well, the truth is that we are all mystical and that there is something going on that can’t be explained. Outside of the day-to-day stuff like getting up going to work, we all have something going on within us, and we all know that there is something going on – we’re spiritual creatures and we are very powerful. I think that is one of the main concerns with me in terms of lyrics right now – realising that we are all much more than we know. DD: And where do you think the darker aspects of the human condition come from, as someone who has been around guns and crime in their youth? 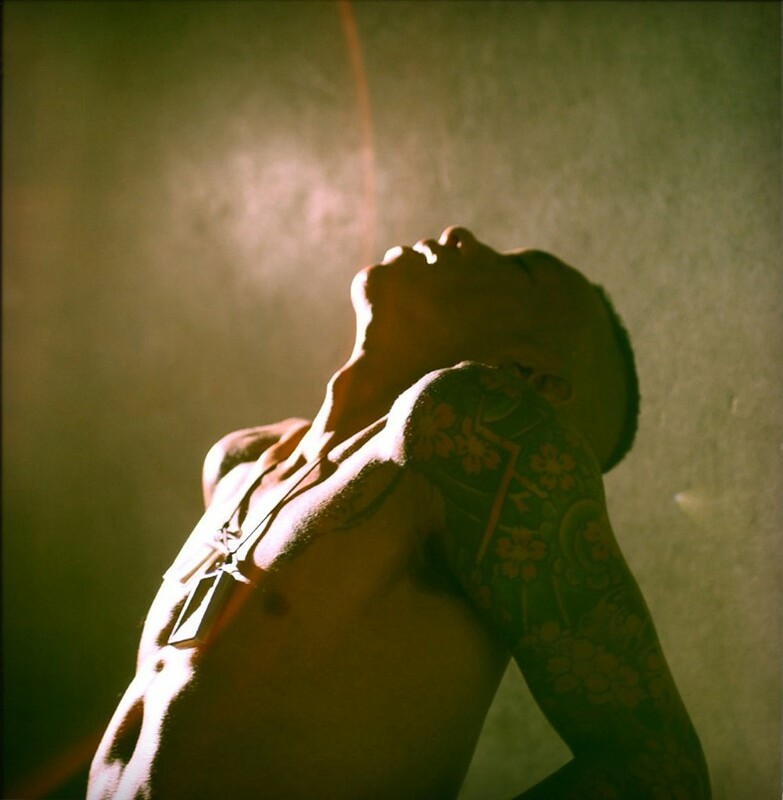 Tricky: Sometimes I think it comes though hard times, but it’s different but these days. These days, I think it’s more about these really violent video games like Mafia 1 and Mafia 2. I think that is a really bad thing, you know? We have gotten into glamorising gangsterism and it is a very big money-maker. I’ve got a friend called Freddie Foreman who is now about 78 years old, and he became a criminal to feed his family and get on. It’s not even like that now – kids do it now just to get a name or a reputation, and that’s because it’s been glamorised, which is kind of sad. Violence is just a money-maker for all these corporate people whose lives don’t even get touched by it. They can make any violent movie or video game because they are living in their safe little gated communities. DD: I’ve always wanted to ask you about your take on religion? DD: When you say there is something going on, are you somebody who believes we are in the midst of a sea change in collective consciousness? Tricky: Do you know what? I wish that was true, but people are too greedy. All I see at the moment are violent video games and corporations invading countries for their natural resources. There is a kind of a shift in people’s consciousness but it gets controlled. For instance, people are disillusioned with religion and politics right now, but the people who have been running the world for many years are very, very smart, and they recognise that, so it’s like, ‘alright, we can’t get away with people like Bush anymore, so we need to either have a woman or a black guy to keep people quiet for another few years.’ They know there is s shift in consciousness but they control it every time.